HONOKOWAI — The vision of the Honua Kai Beach Resort & Spa is "to sustain, to renew and to inspire." The building blocks of this luxury West Side property were blessed in a Hawaiian ceremony held last week Wednesday at its Kaanapali North Beach location. The celebration was in honor of the opening of Phase II of Honoapiilani Park and the neighboring Konea, Tower Two of the Honua Kai condominium complex. Hawaiian cultural advisor Kimokeo Kapahulehua performed the blessing with Wene Chun and kupuna Aunty Annie, Aunty Olive and Uncle Stanley. One of the dignitaries attending the park-opening ceremonies was West Maui Taxpayers Association President and community advocate Joe Pluta. "Hooray for more parks for our community and at NO cost to us taxpayers," he said. Phase I of the private park opened a little over a year ago. The now-completed five-acre facility is open "24-7, 365 days a year as part of the settlement agreement with the West Maui Preservation Association. It was important to them that there were no obstructions for the local fisherman or Hawaiian Rights to the property, so they wanted unimpeded access. Although there are gates there, they are unlocked at all times," commented Anthony Plitt, development manager. The passive park is open to the general public and provides beach access at the north end of the subdivision; 106 parking stalls, plus six handicap spaces; a comfort station; showers; picnic tables; and barbecue stations. The park lighting and restroom facility are solar-powered, a never-ending renewable energy resource. "In fact the sun is so good here… we actually had to install a light sensor so that when it got dark, the lights would go off," Plitt noted. As with the construction of the park, sustainability has been the driving philosophy behind the development of the 36-acre resort. General Manager Edward Sowers defined the concept of Honua Kai in an interview with Lahaina News. "The Honua Kai is a contemporary Hawaiian resort. Where others may be embracing past cultures, this is to embrace the culture and the Hawaiian sense of place today," he commented. "Sustainability is probably the number one mega-trend today," Sowers continued, "and is perfectly understandable and valuable for island nations or areas like Maui or the Hawaiian islands. "Once the whole concept of sustainability started taking shape as one of the fundamental underpinnings of what a contemporary Hawaiian resort should be embracing, the next outgrowth of that was, 'Okay how do we incorporate this; how do we do this?' "
A director of sustainability was designated to oversee these programs and to focus on the long-term with a list of "best practices for sustainability." "As the number two person in the resort, Lance Gilliland is the first director of sustainability in the State of Hawaii," Sowers said. Sowers and Plitt are proud of the number of programs supporting the resort's key values. "Everything that can be is recycled here," Plitt said. Palm oil is used for the solar-powered trash compactors. The Duke's Beach House roofing material "eco-rubber" is composed of recycled tires. "We are the only resort in Hawaii that is using R1 recycled, reclaimed water on our irrigation," Sowers added. Fertigation is the method used for the efficient upkeep of healthy landscaping. Fertigation is fertilizing by micro-dosing through the irrigation system. "Because they are micro-dosing, there is no ground water penetration; there is no runoff. It's like feeding your grass a little bit each day instead of going out and broadcast fertilizing twice a year," Sowers explained. In addition, "the plants get healthier that much faster. Their root development is such that the plants end up eventually using about 40 percent less water," he added. Throughout the resort, energy-efficient Bosch appliances are used. The signature project of the sustainability program is the ongoing dune restoration plan, including the replacement of invasive species with Hawaiian plants. "It is actually a reef preservation program, because it keeps the actual runoff waters from heavy rainstorms from washing silt and rainwater into the eco-system right in front of the resort, which helps keep the reefs healthy," Sowers said. Plitt and Sowers both recognized the West Maui Preservation Association (WMPA). "We actually have some win-win outcomes from the (WMPA) intervention process, and one of them is the dunes maintenance program or the dunes restoration program," Sowers noted. 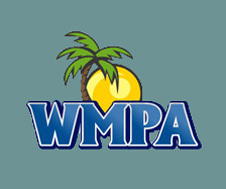 In addition, it was WMPA that required the park be built concurrent with construction. Plitt has a soft spot in his heart for the North Beach Advisory Group, their support and contributions. "I would like to thank the North Beach Advisory Group (NBAG)" — Aunty Patty Nishiyama, Henry "Bruno" Ariyoshi, John Kuia, Buck Buchanan, Star Medeiros and Walter De Los Reyes. "We meet monthly and really do give the NBAG work to do. Usually, within a month, it's turned around, and we have our answers from street naming to the park naming; to color selection for the park buildings to choice of barbecues and picnic tablesÉ where the parking stalls should go; what type of grass should we plant; where the trees should go... what are we doing with the wood from the kiawe trees; who can we help and give that to; Donate it to local groups for barbecuing or up at Lahainaluna for wood working class... things like that. They are helping us keep connected. They really do serve the community. I truly believe that they have a huge input to our project and its success," he concluded.